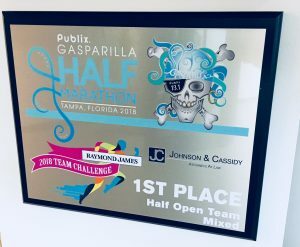 Team Johnson & Cassidy Wins Fourth Consecutive Gasparilla Race Challenge! – Johnson & Cassidy, P.A. For the fourth year in a row, team Johnson & Cassidy stifled the competition, emerging victorious in the 2018 Gasparilla Distance Classic Half Marathon Open Team Challenge. 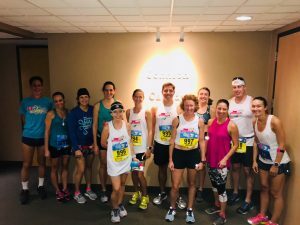 The team challenge has seen a growing number of competitive entries each year, and 2018 was no exception. Nonetheless, the Johnson & Cassidy runners battled through unseasonably warm conditions and established themselves once again as the team to beat in Tampa Bay. 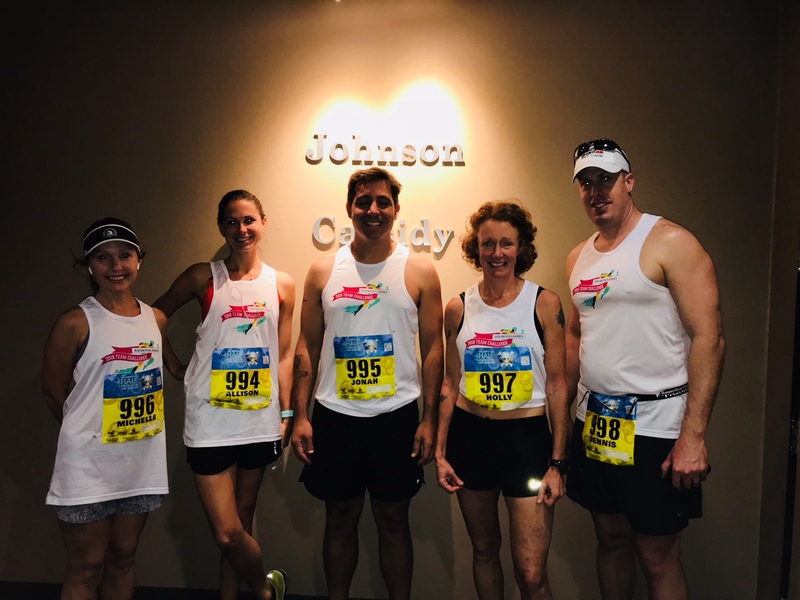 The Gasparilla Distance Classic raises funds to support numerous youth charitable organizations and running programs, and the lawyers at Johnson & Cassidy proudly support these efforts. Congratulations to Allison DeCort and the rest of team Johnson & Cassidy for another big win!